CAIRO--(BUSINESS WIRE)--Alta Semper Capital LLP (“Alta Semper”), a consumer and healthcare focussed private equity investor operating across several growth markets, alongside CI Capital Partners (“CICP”), a leading Egypt-focused private equity investor, today announced a partnership through the MEA Healthcare Partners platform (“MEA Healthcare”) with Macro Holding (“Macro” or the ‘Company’), a leading consumer healthcare company in Egypt operating in several high-growth sub-segments of the pharmaceuticals market. The Company is partnering with Alta Semper and CI Capital Partners to expand the product portfolio, grow into complementary product lines, and expand geographically. Founded in 2002 by Dr Ahmed El Nayeb and Dr Mohamed Sobhi, Macro has grown into one of the leading consumer healthcare companies in Egypt. The Company targets a broad base of consumers through a large and evolving product portfolio. The Company, employing over 750 people, currently manufactures and distributes 64 products across seven therapeutic areas, including skin care, haircare, feminine care, anti-scar, oral care, antiseptics and muscle relaxants, under the Gold, Orovex, Verdex, Cordo and Scaro brands. The Company’s products are marketed to the Egyptian medical community through a market-leading, 500 person strong sales force. The Company’s products have amongst the broadest coverage in the market, reaching over 50,000 physicians, centres and pharmacies nationwide, a testament to the trust the medical community has with the quality and efficacy of Macro’s unique product portfolio. Macro operates a state-of-the-art production facility in Cairo with a second facility dedicated to the growing medical devices market currently under construction. The Company currently exports to eight markets across the region, and plans to expand its export base significantly in the near future. As part of its investment strategy for Africa, Alta Semper looks to invest in high growth, yet defensive sub-sectors within the consumer, healthcare and enabling technology sectors. Scalable businesses, which have scope for regional expansion are a focus for Alta Semper. The investment in Macro marks its first investment in Egypt. CI Capital Partners is dedicated to investing in Egyptian businesses with proven and scalable business models and partnering with leading entrepreneurs to create long term sustainable value. The partnership with Macro is clearly a testament to this vision. The consumer healthcare market in Egypt and the Middle East, North African region, is characterised by rising and growing demand driven by favourable demographics, increased consumer awareness and evolving consumption patterns. Alta Semper Capital and CI Capital Partners were advised by Matouk Bassiouny and Norton Rose Fulbright LLP. CI Capital Investment Banking acted as the financial advisor to Macro Holding and the Founders. Al Tamimi & Company acted as the legal advisor to Macro Holding and the Founders. Founded in 2015 by Afsane Jetha, Ronald Lauder and Richard Parsons, Alta Semper is a dedicated private equity investor focussed on the consumer, healthcare and enabling technology sectors across several growth markets, with a specific focus on Africa. 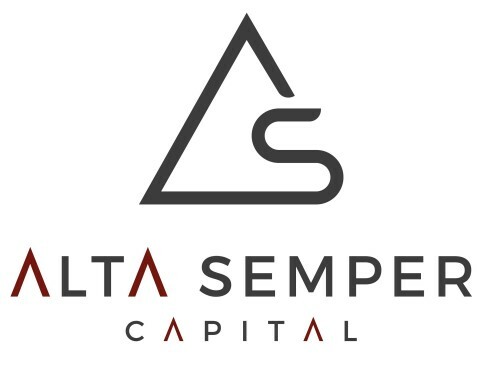 Alta Semper looks to invest growth capital or take significant stakes in business where it can contribute to transformational change and assist with regionalisation and new market entry, while bringing deep industry knowledge to its portfolio companies. CI Capital Partners is a leading Egypt focused private equity investor and part of CI Capital Holding, Egypt’s premier diversified financial services group. CI Capital Partners is dedicated to investing in Egyptian businesses with proven and scalable business models; injecting growth and buyout capital and partnering with leading entrepreneurs to create long term sustainable value.